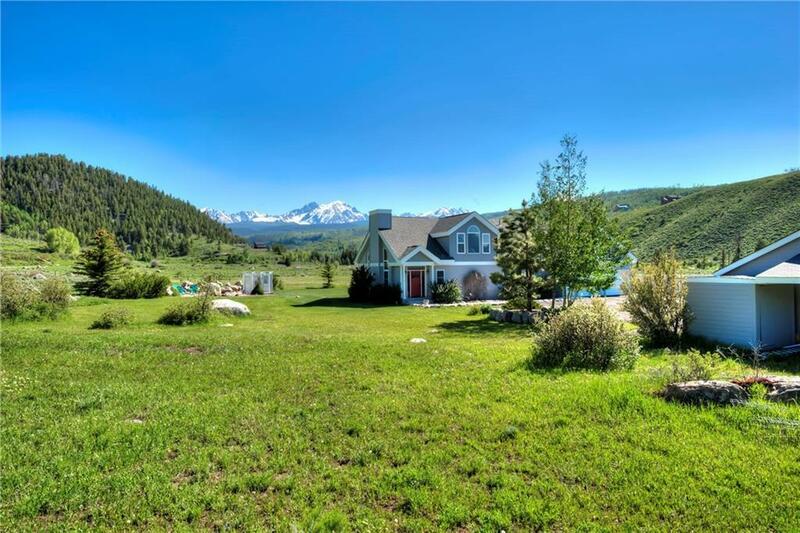 Immaculate, beautiful home w/slab granite counters on 21 private acres of HORSE PROPERTY. 750 feet of RIVER FRONT into the middle of the Blue River for FLY FISHING. River is a short walk from the house. Inspiring mtn. & meadow VIEWS. Huge outbuilding, a green house, fire ring, generous water right for watering livestock &/or acreage/garden. Main floor master & a 4th large room for more sleeping/play space. Have your own resort living in this rare, special location. See drone video link.